Increasing demand for illegal wildlife products is threatening to drive species such as the African elephant to extinction. Photo: UNDP Kenya. UNDP and the Global Environment Facility (GEF) have kicked off a project under the GEF-financed, World Bank-led Global Wildlife Program that aims to curb maritime wildlife trafficking, targeting key routes and transit points between Africa and Asia. Spanning over a period of 36 months, the US$2 million initiative will aim to reduce maritime trafficking of wildlife between Africa and Asia by strengthening wildlife law enforcement at ports and increasing cooperation between ports and other maritime stakeholders. In cooperation with the UN Office on Drugs and Crime (UNODC), the Royal Foundation, the Global Wildlife Program, and other partners, the project will increase awareness of port stakeholders about wildlife crime and build capacity of law enforcement agencies to detect and intercept illegal wildlife products. It will primarily target two key African exit ports – Mombasa (Kenya) and Dar es Salaam (Tanzania) – regularly used by traffickers for illegal transportation of poached African wildlife such as ivory, pangolins, and rhino horns to Asia. At the same time, the project will strengthen cooperation between key African and Asian ports to prevent illegal wildlife trafficking. Increasing demand for illegal wildlife products is threatening to drive species such as the black rhinoceros and the African elephant to extinction, impoverishing communities that rely on healthy ecosystems to survive and feeding corruption and lawlessness in many countries around the world. 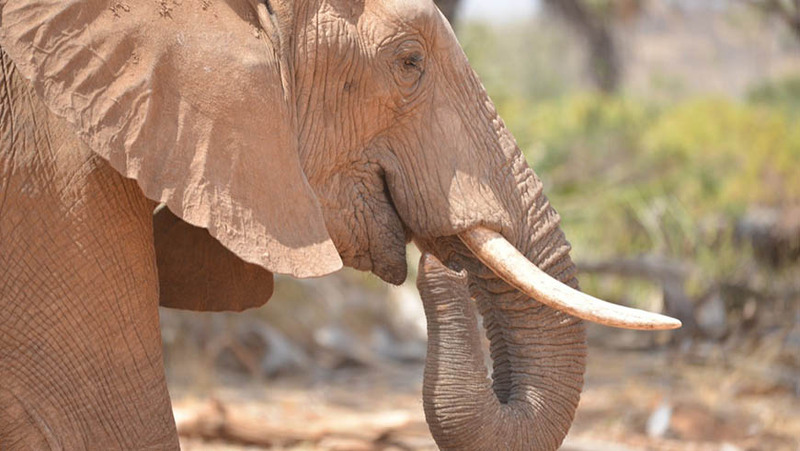 In Kenya and Tanzania, for example, the widespread loss of elephants could be devastating for the national economy, as 90% of their tourism industries depends on wildlife. The project will contribute to addressing the global problem of unprecedented illegal wildlife trafficking from Africa that has surged over the last 10 years. The vast majority of ivory (72% in 2014) is trafficked by sea due to the large volumes of ivory involved and minimal risk of interception and arrest. According to the Elephant Trade Information System (ETIS), 403 tons of ivory were seized from 2007-2017 – equivalent to about 54,460 killed elephants. At the same time, interception capacity at African ports is particularly low – with merely one third of wildlife seizures made at exit ports in Africa 2000-2017 – and only 19.3% of all seizures have led to convictions, according to the Environmental Investigation Agency (EIA). By targeting these transit points and strengthening law enforcement, we can disrupt profits and incentives for wildlife poaching and end this evil trade.